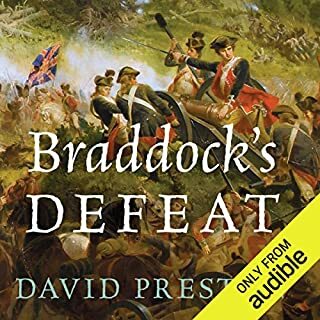 On July 9, 1755, British and colonial troops under the command of General Edward Braddock suffered a crushing defeat to French and Native American enemy forces in Ohio Country. Known as the Battle of the Monongahela, the loss altered the trajectory of the Seven Years' War in America, escalating the fighting and shifting the balance of power. An unprecedented rout of a modern and powerful British army by a predominantly Indian force, Monongahela shocked the colonial world. The Battle of the Plains of Abraham is one of the pivotal events in North American and global history. This clash between British general James Wolfe and French general Louis-Joseph de Montcalm on September 13, 1759, led to the British victory in the Seven Years' War in North America, which in turn led to the creation of Canada and the United States as we know them today. This dramatic sequel to Jeff Shaara's best selling Rise to Rebellion continues his chronicle of the key characters of the American Revolution and animates some of the most compelling scenes in America's history: Washington's harrowing winter at Valley Forge, Benedict Arnold's tragic downfall, and the fiercely-fought battles at Trenton, Brandywine Creek, and Yorktown. The French and Indian War was the world's first truly global conflict. When the French lost to the British in 1763, they lost their North American empire along with most of their colonies in the Caribbean, India, and West Africa. 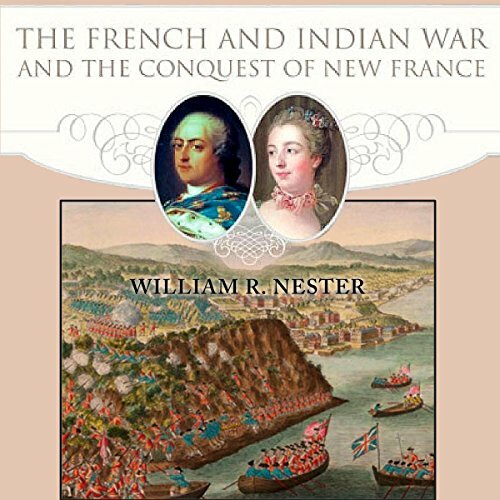 In The French and Indian War and the Conquest of New France, the only comprehensive account from the French perspective, William R. Nester explains how and why the French were defeated. 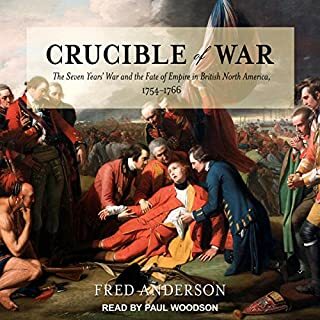 He explores the fascinating personalities and epic events that shaped French diplomacy, strategy, and tactics and determined North America's destiny. 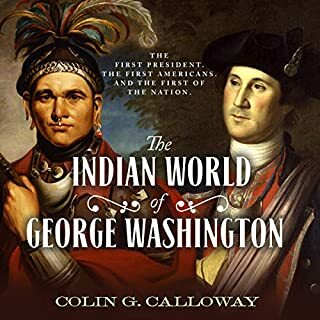 What began in 1754 with a French victory - the defeat at Fort Necessity of young Lieutenant Colonel George Washington - quickly became a disaster for France. The cost in soldiers, ships, munitions, provisions, and treasure was staggering. France was deeply in debt when the war began, and that debt grew with each year. Nester describes missed diplomatic and military opportunities as well as military defeats late in the conflict. 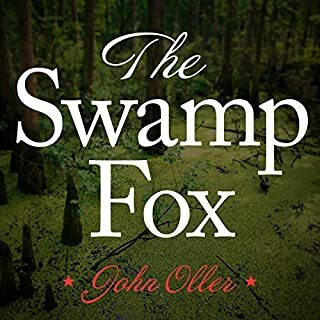 Nester masterfully weaves his narrative of this complicated war with thorough accounts of the military, economic, technological, social, and cultural forces that affected its outcome. Listeners learn not only how and why the French lost, but how the problems leading up to that loss in 1763 foreshadowed the French Revolution almost 25 years later. One of the problems at Versailles was the king's mistress, the powerful Madame de Pompadour, who encouraged Louis XV to become his own prime minister. The bewildering labyrinth of French bureaucracy combined with court intrigue and financial challenges only made it even more difficult for the French to succeed. Ultimately, France lost the war because Versailles failed to provide enough troops and supplies to fend off the English enemy. What made the experience of listening to The French and Indian War and the Conquest of New France the most enjoyable? This book is the first I've read that explained how France lost it's hold in the new world. What was one of the most memorable moments of The French and Indian War and the Conquest of New France? It brought to light and life the struggle for power in the 18th century western nations, and showed how the inattentive, capricious leadership of the French royals cost them everything by setting the stage for the revolution. Who would you have cast as narrator instead of Philip Benoit? Anyone who actually speaks French. He murdered the pronunciation of the names and titles to the point of distraction. For me, this was the major flaw in an otherwise well written, thoroughly documented book. Simon Vance would have done much better. How France lost the new world. 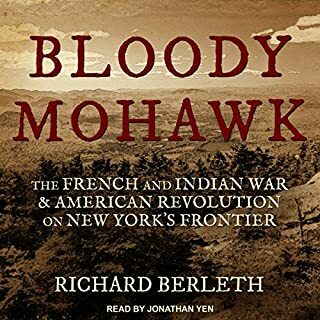 The title would more accurately be something like “A History of France’s Global Military and Diplomatic Incompetence and Corruption in the 18th Century,” but only a third or half of the book is about The French and Indian War at most. Very little of the book is about French or British Strategy or, for that matter, the perspective of the various Indian Chiefs and alliances that played a huge part in the tactical victories and defeats. 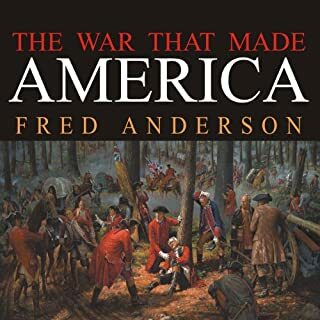 The reader has to wade through several whole chapters of French palace and political corruption, as well as conflicts involving Germany, Spain, Russia, Austria and others, in order to find out about the French and Indian War and why they lost Canada to the British. Hint: The powerful and highly competent British Royal Navy. One would also hope that in a book containing several hundreds of French names, titles, terms and cities, the narrator would have more than an American tourist’s knowledge of accepable pronunciation. It was so bad that it went from disconcerting to laughable, but a reader from France would likely declare war. The narrator’s inability to pronounce any French names correctly distracts from the content. I would have given it a higher rating if the narration was better. This has almost nothing to do with French and Indian war in America- probably about 1 hr. Takes 5 hrs to get 1750 in France. Most of the story is about France’s war in Europe with about 1/3 of time in Canada. If you’re interested in France’s ineptitude this is for you. I wanted to like this audio book. I tried and tried but the narrator, despite his French sounding name, is utterly incapable of pronouncing even the simplest of French words correctly. He was clearly not on task. I was alarmed at one point when Australians entered the fray in place of the author's intended Austrians. It is so very difficult to listen to that I have been reduced to using it as a sleep aid of late. I have finally come to my senses and decided to stop the masochism. I shall return it and look for another book to help me learn about this period of history.